Have some expensive sports cards you need to sell on eBay? 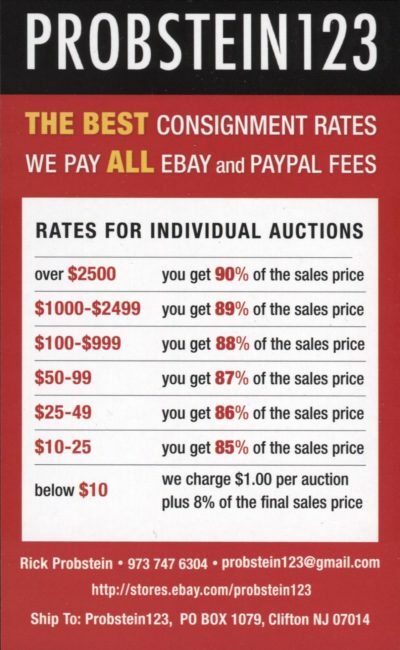 One of the top consignment sellers on eBay is Probstein123, and they are always actively accepting cards. Shockingly, there are no forms or official website for Probstein123. It's somewhat remarkable he's built a successful consignment business on eBay with very little backend. Contact Probstein123 directly for more information about sending cards in.